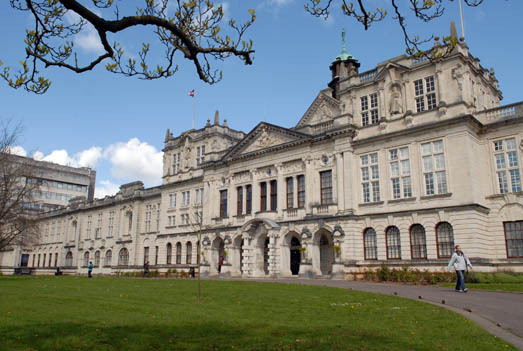 Cardiff University is delighted to offer a PhD position in linguistics. The funds for this position are available for three years. Candidates are welcome before February 01, 2019. The School of English, Communication and Philosophy, supported by the ESRC Doctoral Training Partnership for Wales (Wales DTP)invites applications for funded doctoral study. All awards are available either on a full-time or part-time basis. All awards are available either as straight entry to the PhD or as a one year MA in Language and Communication Research with progression to the PhD if eligible. TheCentre for Language and Communication Research (CLCR) is part of the School of English, Communication and Philosophy, a large multi-disciplinary school which has a dynamic and highly successful research culture. Currently there are 147 registered postgraduate research students in the School. CLCR is one of the foremost international departments for research, research training and teaching in social, applied and interactional areas of human communication, digital and non-digital media, language and linguistics. The Centre carries excellent ratings for its research from the most recent Research Excellence Framework. It was part of a unit of assessment which was ranked 10th in the UK. Furthermore 87% of submitted outputs was classified as either(4*) (world-leading or (3*) (internationally excellent). In CLCR most training is incorporated in the programme of Research Training Modules which constitute the MA/Diploma in Language and Communication. PhD students in the Centre also receive professional training and development throughout the three years of their doctoral programme via theDoctoral Academy. There is also a full programme of seminars and workshops for PhD students which run alongside their individual research work with their supervisors. The very high quality of the environment and of our research training provision in CLCR means that we are part of theEconomic and Social Research Council (ESRC) Wales Doctoral Training Partnership (DTP)and can offer ESRC-funded awards. In pursuing your postgraduate research at the Centre you will become an important part of this excellent research environment. To find out further information about the supervisors available, please visit our Centre for Language and Communication Research.